Numark M4 - 3 Channel Scratch Mixer - Black. M4 is a three-channel tabletop mixer designed for any DJ who needs maximum flexibility. Don’t get stuck without enough inputs at your next gig. Upgrade to M4. Numark M101 USB 2 Channel All-Purpose Rack Mountable Club Party DJ Mixer (Black). 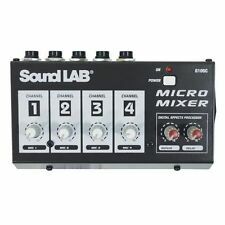 A micro mixer that can expand a single input on a music mixer to take up to 4 microphones. Echo with delay. Colour: Dark gray. Lighting & Effects. Power & Extension Leads. Get in touch. We cherish allInteractions Conatct Us. M2 is the perfect mixer for any scratch DJ. Why people choose Bop DJ. BOP DJ Showrooms. Three-band EQ and gain on each channel. EQ and gain on mic channel. of Channels 2. Inputs 2 phono/line switchable (RCA), 2 line (RCA), mic (1/4"). Main Features. 3 Blue Illuminated Rotary Pots. Active PA Speakers. BT for Streaming Audio from Phone or other BT Device. When will I receive confirmation of my order?. How do I find the item number or product code?. Pure professional power. M2 is a two-channel DJ scratch mixer with all the essentials to hit the stage in Numark style. Switchable phono/line inputs for turntables, CD players, and other line sources make M2 a superb choice for any DJ setting from weddings to clubs, parties to practice setups. A mic input with dedicated EQ and gain, and a headphone output with crossfader-style cueing complete the plentifully featured package. The Numark M101USB is a highly adaptable two-channel mixer for virtually any DJ.The Numark M101USB lets you get up and running quickly whether you're using a computer, turntables or CDs. Beginners and seasoned DJs alike who want a durable USB-equipped two-channel solution will find M101USB a perfect fit. DJs always need a dependable mixer. M101USB fits the bill perfectly as a highly adaptable two-channel mixer for virtually any DJ. M101USB lets you get up and running quickly whether you're using a computer, turntables or CDs. 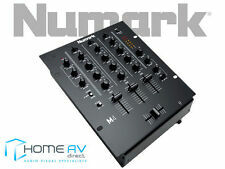 NUMARK M2 MIXER - BRAND NEW WITH GUARANTEE!! NUMARK M2 DJ MIXER. From a official NUMARK dealer. M2 is the perfect mixer for any scratch DJ. 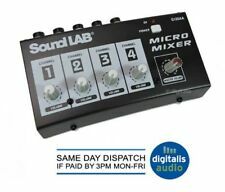 Two-channel tabletop DJ mixer. Our bank details are: HSBC Bank Plc, Moorgate Branch, Sort Code: 40-02-18. 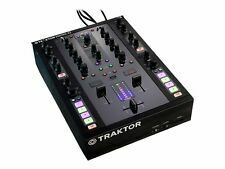 4.5 out of 5 stars - NUMARK M2 MIXER - BRAND NEW WITH GUARANTEE!! 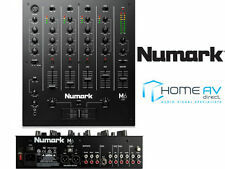 4 product ratings4 product ratings - NUMARK M2 MIXER - BRAND NEW WITH GUARANTEE!! 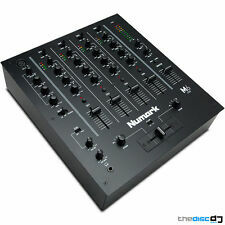 The Numark M101 USB Compact DJ Mixer squeezes maximum flexibility into a tight, compact mixer. With simultaneous USB playback and recording capabilities, M1USB is certain to be your next DJ mixer! It is perfect for any DJ who needs to mix different sources, integrate computer audio, and record sets straight to computer, all in a small amount of space.